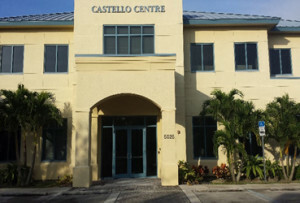 Initially founded by the Naples Jewish community and Jewish Family & Community Services, the Naples Senior Center opened its doors in January 2014 as the first senior center in Collier County. As a registered nonprofit organization NSC is committed to serving individuals of all faiths and nationalities. Everyone is welcome. The work of NSC advances societal values by serving the needs of the most vulnerable among us. Naples Senior Center at JFCS supports and enriches the lives of seniors and families in the Greater Naples community by providing tools to address life’s challenges. The senior center is a dynamic gathering place with a safe, nurturing environment for seniors to socialize, learn and stay active. Membership has grown from 80 seniors in 2014 to over 1,400 seniors today due to an increased demand for services and a growing senior population. Naples Senior Center is committed to meeting the demand for social services among seniors and to help those struggling with isolation, loneliness and dementia. Programs available at the center are designed to support and strengthen people of all backgrounds and beliefs, often at times of vulnerability and crisis. An estimated 86,000 people over the age of 65 live in the greater Naples area, and roughly one-third of them live alone. The majority of Naples Senior Center members say they joined because of loneliness and 72 percent live alone. These statistics show why social engagement is a vital first step toward addressing the needs of local seniors. Naples Senior Center provides dementia respite care, geriatric case management, emotional support services, a food pantry and more. These programs are designed to support and strengthen people of all backgrounds and beliefs, often when they are most vulnerable. Naples Senior Center at JFCS empowers individuals and families by giving them tools to address life’s challenges.